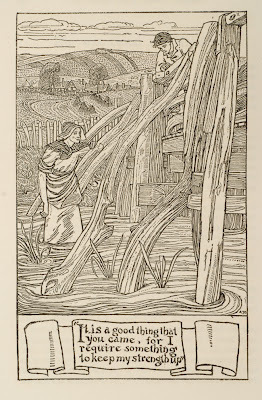 "Mr. Gaskin's pictures ... of the tales are precisely what they should be, not because they belong to the manner of the Birmingham Art School and symbolize past all patience and affect the absence of aerial perspective shown in the very old wood cuts, but because, in spite of their mannerisms, they give life to the text and express it somehow or other in their long, lank Thumbelinas and Helgas and their young babes. They catch the attention and fix it upon the expression, arbitrary perhaps, yet adequate, of a persoality. 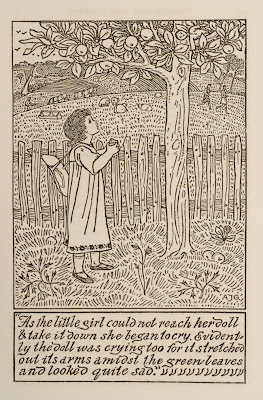 Once seen, Mr. Gaskin's Thumbelina will always be the Thumbelina of the story..."
So said the New York Times book review in 1895 of a new edition of The Stories and Fairy Tales of Hans Christian Andersen. 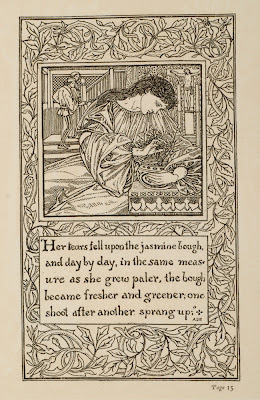 Arthur J. Gaskin's illustrations to this edition would serve as his calling card to William Morris and lead to assignments for the Kelmscott Press, the most celebrated private press of them all. 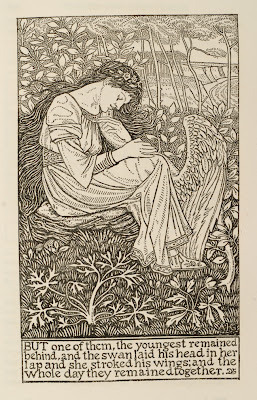 Arthur Joseph Gaskin (1862 – 1928) was an English illustrator, painter, teacher and designer of jewellery and enamelwork. 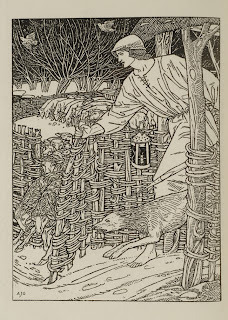 Gaskin was a member of the Birmingham Group of Artist-Craftsmen, which sought to apply the principles of the Arts and Crafts movement across the decorative arts. Like many of the group, Gaskin studied at the Birmingham School of Art under Edward R. Taylor and later taught there. 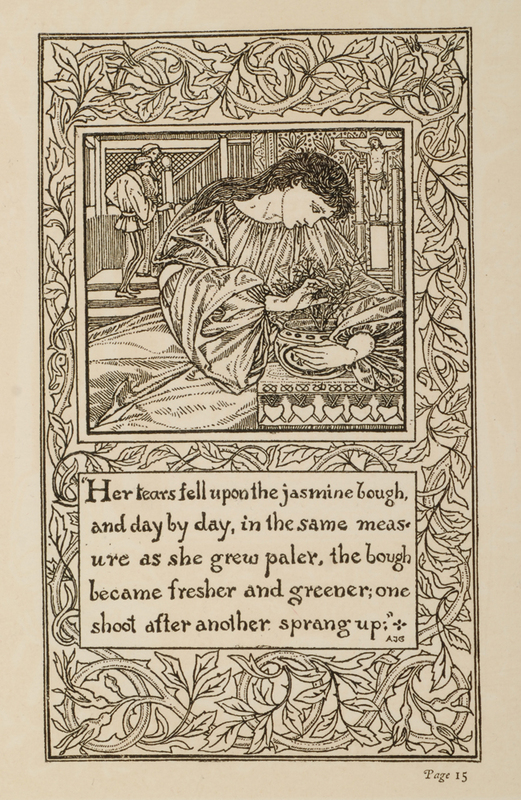 Gaskin worked as a decorative artist from 1890, and within a few years attracted the attention of William Morris. 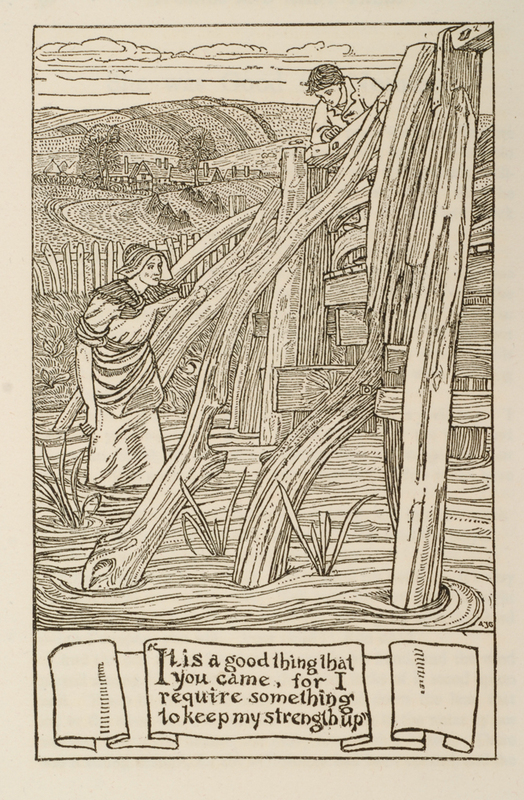 "...Where in England was Morris to find the artists who could satisfactorily illustrate the Kelmscott books? The answer, surprisingly, was Birmingham, where the arts-and-crafts movement flourished more vigorously than anywhere else in the provinces, mainly through the influence of the municipal School of Art. 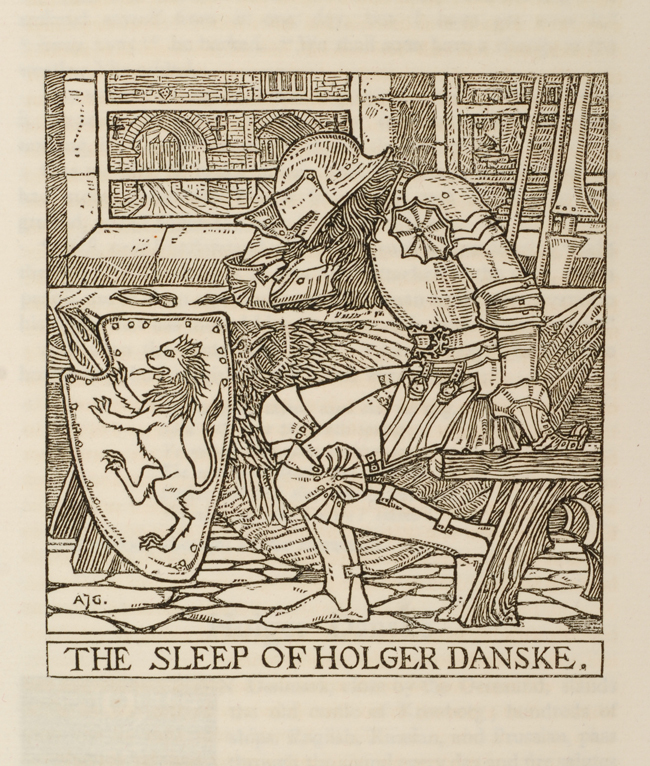 The Sleep of Holger Danske. "Gaskin's relationship with Morris was, if anything, even more turbulent than Gere's. 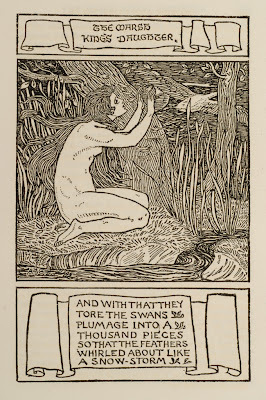 Subsequently known as a designer of jewelry, Gaskin was scheduled to illustrate a Kelmscott Press edition of The Roots of the Mountains that never materialized; Morris also arranged for him to design the pictures for The Well at the World's End and The Shepheard's Calendar (1896). 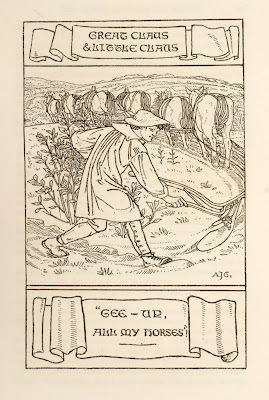 Illustration by Gaskin to The Shepheard's Calender (1896). 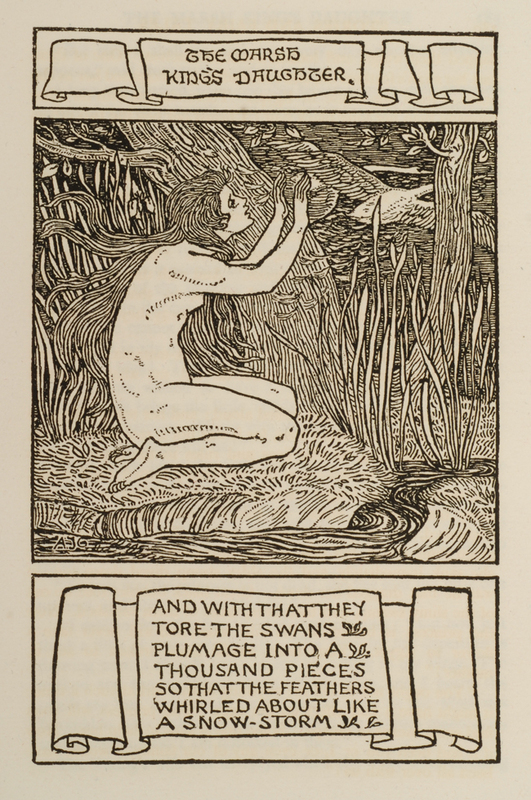 "The twelves designs for the latter book are impressive - Gordon Ray has called them 'perhaps the most successful of Kelmscott Press illustrations,' a judgment in which Colin Franklin concurs" (Peterson, The Kelmscott Press, pp. 157-8). Big Claus and Little Claus. 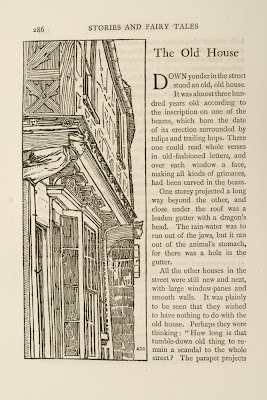 "Mr. George Allen issues also a really excellent edition of Andersen's Fairy Tales. The translation is by Dr. H.O. 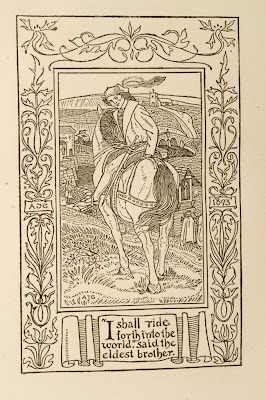 Sommer, and there are 100 drawings by Mr. Arthur J. Gaskin, under whose direction the 'Book of Pictured Carols' was produced. It will be a pleasure to many to renew acquaintance with Big Claus and Little Claus, and all the other friends of our childhood, in this excellent edition" (Literary World, December 1, 1893). 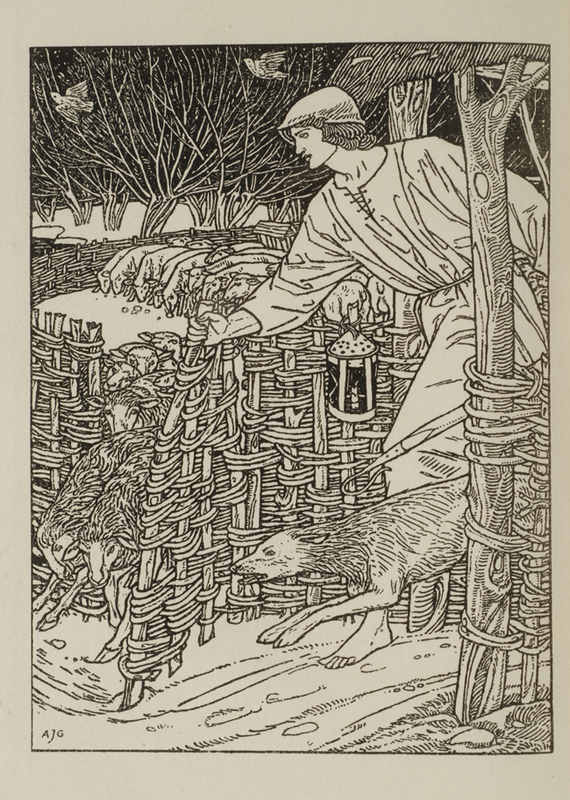 [GASKIN, Arthur J., illus.]. 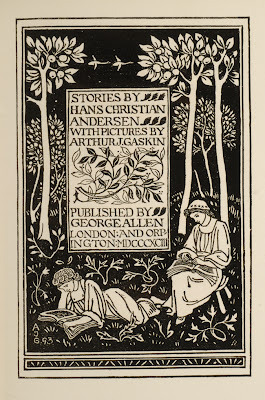 ANDERSEN, Hans Christian. 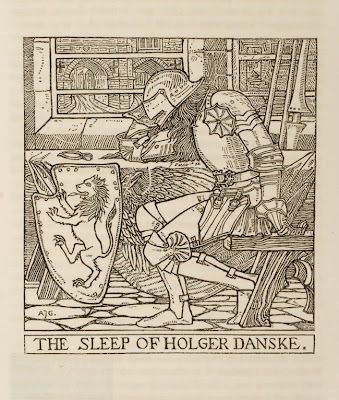 Stories and Fairy Tales by Hans Christian Andersen. Translated by H. Oskar Sommer. With 100 Pictures by Arthur J. Gaskin. 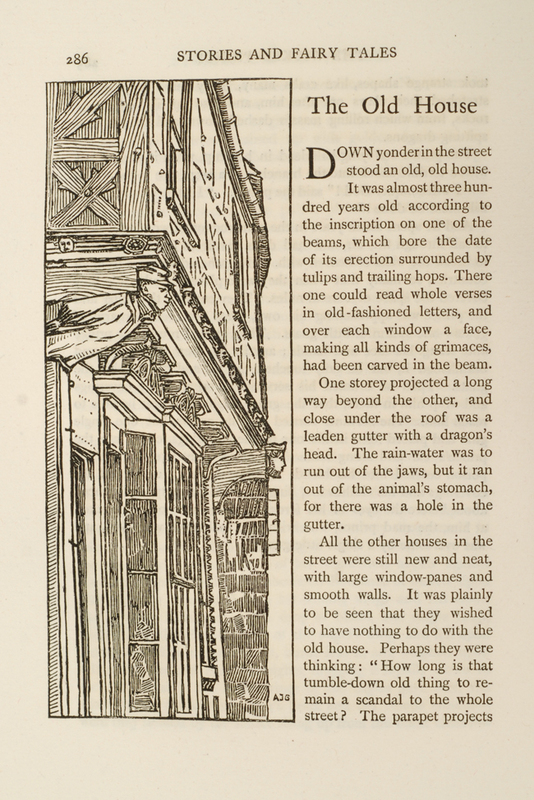 London: George Allen, 1893. One of 300 Large Paper Copies printed on hand-made paper. Two quarto volumes (9 3/4 x 7 5/16 in; 248 x 186 mm). , xi, [1, blank], 398, ; [2, blank], xii, 426, [2, blank] pp. Initials. 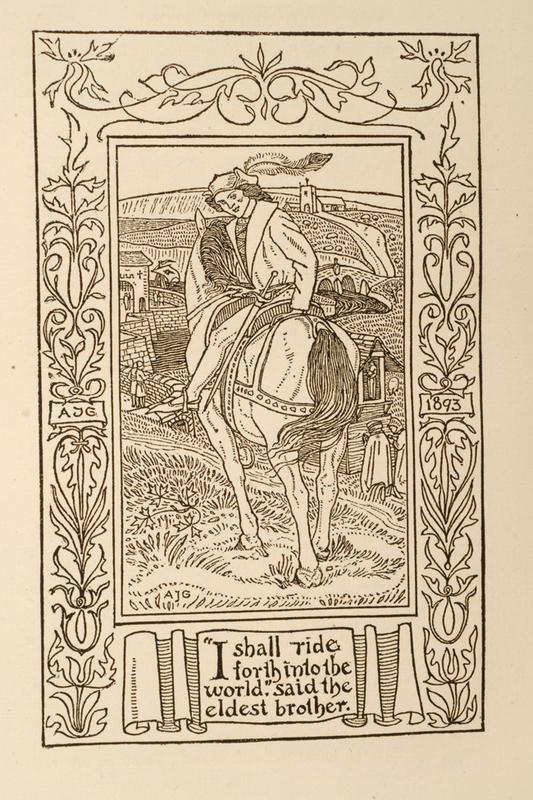 One hundred black and white illustrations, many full page, including frontispieces and extra illustrated title pages.